Have you noticed most hat patterns rush right past the cast on and brim? A simple rib on the brim is pretty standard. I thought this was the case, but looked at the 300 most popular hat patterns on Ravelry to test the theory; only 10 had any interest on the brim. If we’re talking about adding impact to knitting, we must be talking about the Showy Decrease (again). Yup, it’s back for the umpteenth time and, no, it’s not getting tired. We started this part of the journey with the Showy Rib and this post called You’ll Never Look at Hat Brims the Same Way Again. You’ll definitely want to read that one, it has some great before and after photos that explain what this idea is all about with just a glance. And shows you how to knit this 2×1 super deep rib to the right. The Showy Decrease is also good at transforming existing stitch patterns. You first heard about this idea with our free Seismic Scarf pattern. It took a broken rib and added a Showy Decrease in each direction. The rib is so deep you can almost fall into it! 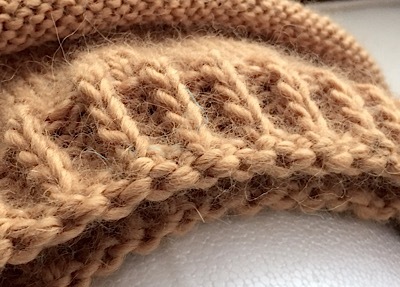 A simplified version of this stitch pattern is perfect for hats. Working a Showy Decrease on the outside and the standard purl on the inside results in a beautiful rib, with great texture. Who wouldn’t want that? The Showy Decrease really does make a difference to the depth. Compare this standard broken rib to the one above. The hat brim is easier to knit than the scarf in two ways; the Showy Decrease is worked on just one side and, since you’re knitting in the round, spotting the pattern is straightforward. Before you start: Please take a look at the Vertical Showy Decrease post. It explains how to work the vertical version of this decrease and how and why to yarn over in reverse. Gauge: The Showy Rib is a bit wider than a standard rib, however, because of the elasticity I generally don’t need to decrease the number of cast on stitches unless I’m knitting with a bulky yarn. The beauty of this rib is lost if stretched out too much. Try knitting a deeper brim, it will show off the stitch and stay on the head better. I know you’ll swatch first, right? Cast On (multiple of 4 sts): *k1, p1* before starting rib pattern. Rnd 1: *k3, p1* Join at end of row. Rnds 6 and 7: Transition to hat body, continue in st st or your pattern. Before you go, take a closer look at that cast on edge. If I’m not willing to rush the knitting of the hat brim, then I’m probably not going to wiz by the cast on either. We’ve already introduced the Duality Cast on and two versions of the Resilient Cast On. They’re part of our Edge Nuances which have been some of our most popular posts. Next time we’ll be talking about the Woven Cast On. It will add both impact and give to your hat brim (or sweater edge, or cuff…). Need more help or can’t wait for the cast on? Blog followers received an email with advance notice of these two Nuances. There’s a more detailed, printable tutorial that combines the two for the look you see here. Check out “Join Us! Follow this Blog” on the left side bar, to see why I’d love for you to join in the fun. This is for people who have their own WordPress account not regular email followers which is most of you. I’m so glad you’re following us, but I don’t have your email. This means I can’t send you previews of upcoming announcements. If you send me your email (laura@knittingnuances.com) I will add you to the newsletter list. Otherwise, just make sure to check the Bonus Materials page from time to time. We’ve just added new materials. 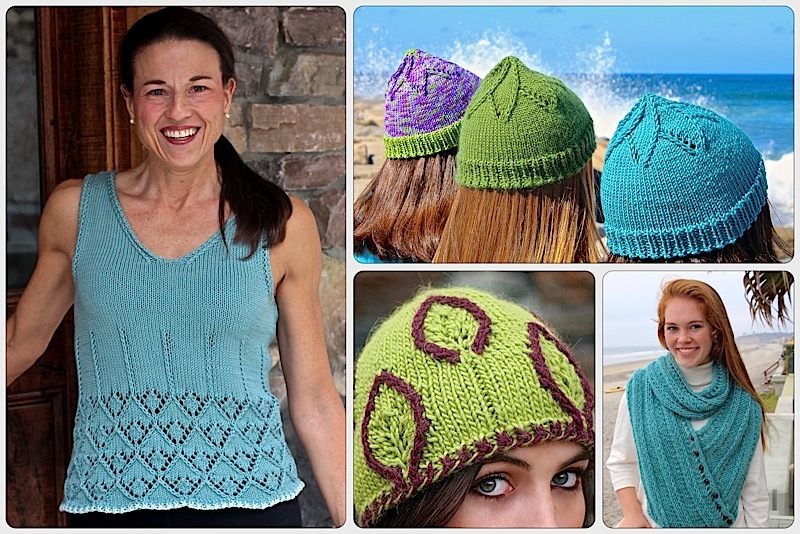 Thanks to all of you amazing readers, the Estrellita Hat was #1 on Ravelry this morning. We also passed 100,000 lifetime blog views today. Love you guys. It means a lot to me, especially after the four months of not being able to knit or blog for health reasons this summer. Ever onwards, always looking ahead. This entry was posted on November 19, 2015 by Laura Cunitz in Hats, Showy Decrease, Showy Rib.